Christina F. Annick received a Bachelor of Science degree in chemistry from the Rochester Institute of Technology, and her Juris Doctorate degree from Columbus School of Law Catholic University, in Washington, D.C. Ms. Annick is also a Registered Patent Agent. 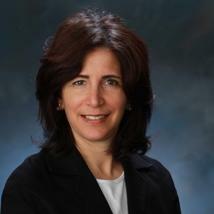 Prior to joining the firm, Ms. Annick was a patent examiner in the U.S. Patent and Trademark Office for several years, where she examined domestic and international patent applications involving a wide-range of technologies, including those in the chemical, mechanical, electro-mechanical arts, such as printer heads, semiconductors, photovoltaic cells, LEDs, optics, and nanoparticles. Ms. Annick also has extensive experience working as a chemist in the chemical and pharmaceutical industries, with companies such as Kodak and Pennwalt Pharmaceuticals. Resident in the firm’s Jamestown Office, Ms. Annick’s practice will focus on preparing and prosecuting U.S. and foreign patent applications, patent litigation, patentability and clearance opinions, trademark portfolio building and maintenance, IP-related agreements, as well as counseling the firm’s high-tech manufacturing clients in areas of licensing and designing-around competitors' patents. Ms. Annick is admitted to practice before the New York State Bar and the District of Columbia Bar. Precision Solar Controls, Inc. v. Truck-Lite, Co., Inc.